According to a new federal government study, there is a narrowing of the life expectancy gap between black Americans and white Americans—primarily due to the decline in death rates from HIV, cancer, and heart disease. Researchers note how the study only has the ability to show the trend, not the reasons behind it. However, they believe that increased access to medical treatments plays an essential role. The life expectancy of the average American reached an all-time high of 79 years old in 2013. According to researchers, the life expectancy for black Americans has always trailed behind white Americans. The gap is still there, but it is dwindling. It shrunk from a six-year difference in 1999 to less than a four-year difference in 2013. “Those causes of death are going down for everyone. But they’re going down faster for African Americans,” says the study’s lead researcher Kenneth Kochanek. He believes that the next step is to find out why as they can’t tell from their data. Lauderdale notes how the past decade has seen therapy advancements for various cancers, heart disease and HIV, which means that black Americans have more access to these therapies. For the study, the team used death certificate data to track national trends in mortality between 1999 and 2013. The team discovered that life expectancy at birth for black Americans rose from 71 years old in 1999 to 75.5 years of age by 2013. For white Americans, it rose from 77 years old to 79 years old. When the researchers looked into the causes of death, they also discovered that black men saw a larger decline in deaths caused by heart disease, accidental injuries, cancer and HIV. For black women, deaths caused by HIV, heart disease and cancer dropped at a quicker rate. The largest contributor of improved life expectancy for the black community was the decline in heart disease deaths. Unfortunately not all of the news was good. 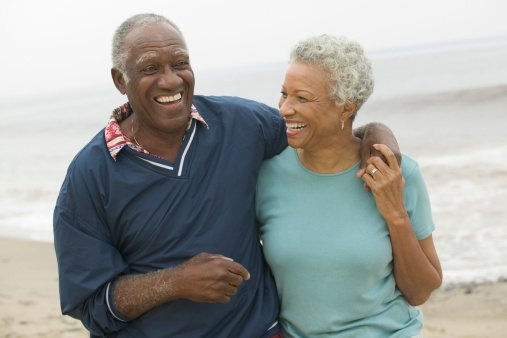 According to the study, black Americans experienced faster increases in rates of death from high blood pressure, Alzheimer’s disease, pregnancy complications, and aortic aneurysms. Norton, A., “Race Gap in Life Expectancy Is Narrowing: U.S. Study,” Medicine Net web site, November 6, 2015; http://www.medicinenet.com/script/main/art.asp?articlekey=191716.